Seydel really are a great diatonic blues harp manufacturer, the video demonstrates this if you are not familiar with their work. Attention to detail is what they do best. The session is a classic example of their skill, just check out it’s sleek design. It has an extremely airtight smooth-edged plastic comb and German Silver reed plates. 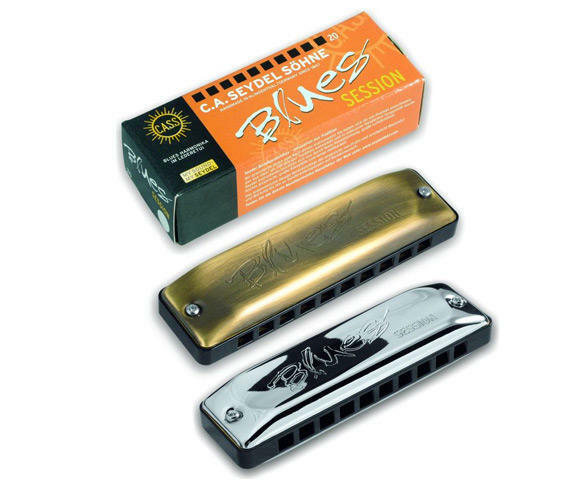 This diatonic harmonica is a great tool for someone wanting to step up their game and sample fine German engineering. Also for the serious beginner, why start at the bottom? Seydel harmonicas make a cool move if you want to try something with a little finesse compared to some of the more classic harmonicas. Antique not currently stocked but can be available, please ask!